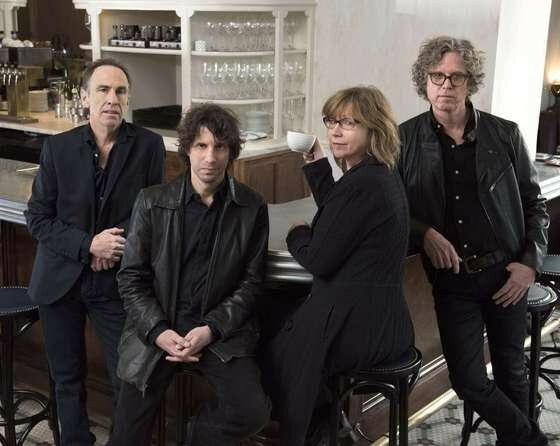 When singer Gary Louris first started the Jayhawks, a pioneering alt-country band that formed in Minneapolis in 1985, he didn’t set out to craft a sound from roots rock and country. 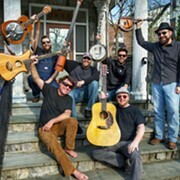 The band plays the Kent Stage on Nov. 2. Rather, he confesses that he was initially an “Anglophile” when it came to music. The band had a great run in the ‘90s but Olson left in 1995 and the band went through various lineup changes (and even took a hiatus in 2004). Now, after various lineup changes, Louris has reunited the group’s celebrated late-1990s lineup (bassist Marc Perlman, drummer Tim O’Reagan and keyboardist Karen Grotberg) for Paging Mr. Proust, an album the group recorded at Martine’s Flora Recording & Playback in Portland, Oregon. 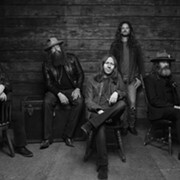 The album shows off the band’s psychedelic side as the group expands its sound with songs such as the shimmering “Lost the Summer,” a track with a distorted guitar riff and woozy vocals. Other tunes such as “Leaving the Monsters Behind,” “The Devil is In Her Eyes” and “Quiet Corners & Empty Spaces” employ the keen harmony vocals and gentle harmonies for which the band is known. Louris, R.E.M.’s Peter Buck and Tucker Martine (The Decemberists, Modest Mouse, My Morning Jacket) co-produced the disc. Louris says he didn’t write the songs immediately after leaving rehab. The album’s name comes from a friend who was traveling in Europe at the Amsterdam airport and heard what she thought was a paging of writer Marcel Proust. She wrote Louris an email about the experience. Thirty years down the road, Louris says his love for songwriting continues to inspire him. The Jayhawks, Folk Uke, 175 East Main St, Kent, 8 p.m. Wednesday, Nov. 2, Kent Stage, 330-677-5005. 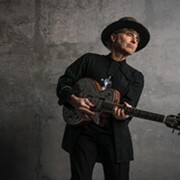 Tickets: $32.50, thekentstage.com.